What makes a house a home? A heating system in your Asbury home that functions property provides a warm, inviting living space and creates that environment for your family and friends during those cold weather months. 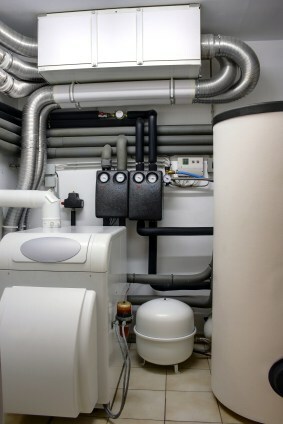 There are many types of heating systems available. Choosing one that fits your unique needs can be daunting without the help of a professional HVAC contractor in Asbury Missouri. Barone's Heat & Air, LLC can help. Installing and servicing heating systems for home and commercial property owners for over 10 years, put Barone's Heat & Air, LLC's professionals to work for you. Give us a call at (417) 232-0017 for a free consultation. Barone's Heat & Air, LLC specializes in the installation of the most common types of heating systems that include Forced Air, Radiant Heat and Hot Water Baseboard units. Forced Air systems distribute air heated in a furnace through a network of ducts and vents. Radiant Heat units rely on hot water-filled tubing in floors and ceilings to warm rooms. Hot Water Baseboard systems use tubes of heated water that are located in baseboards to heat spaces. In addition to installing these heating systems to Asbury residents, we can show you how they work with smart home thermostats, which offer you even greater energy savings. Call (417) 232-0017 to discuss your heating needs. Most HVAC professionals recommend that you have your Asbury heating system serviced once a year in the fall. Any problems found during your system’s routine service check can be fixed before the chill of winter. For Forced Air systems, Barone's Heat & Air, LLC inspects and seals ductwork. Our technicians make sure furnace combustion chambers and blowers are cleaned. For boiler-based systems, we check the boiler for leaks and water pressure and temperature anomalies. Our Asbury heating system contractors clean baseboard heater vents and boiler combustion chambers to make sure your heating system runs efficiently. An efficient heating system uses less energy. If you want to get your heating system ready for next winter, call (417) 232-0017 to schedule an appointment for a fall maintenance service. Sometimes it’s just more practical to replace a heating system for an Asbury home than to repair it. Repair costs, current heating system age, and the expected energy efficiency gains from a newer heating unit are some factors that determine whether you need to replace or repair your heater. For 10 years, Barone's Heat & Air, LLC has provided customers with the data that they need to make informed decisions about repairing or replacing heating units. Call us today at (417) 232-0017 for a free consultation.